Liverpool supporters will love striker Roberto Firmino’s latest comments and it highlights the type of mentality Júrgen Klopp has been instilling at the club since his arrival. The Reds manager emphatically stated in 2015 that supporters of the club must “turn from doubters to believers”, whilst he and his coaching staff get to work at Melwood. Liverpool’s squad has since seen an overhaul, with the likes of Virgil van Dijk, Naby Keita and Alisson amongst others being brought in to the side in 2018. Few players remain from the original squad that Klopp took over, however one has seen himself become a central figure in the Reds starting eleven. Firmino, who scored 27 goals in all competitions last season, has seen his attacking partnership with Mohamed Salah and Sadio Mané blossom in to one of the world’s best. The Brazilian is a firm fan’s favourite, and his latest comments highlight the confidence that Klopp has managed to create behind the scenes at the club. “I am optimistic and I believe ­Liverpool are capable of fighting for the greatest success this season,” Firmino told The Mirror. “We have shown in the last campaign that our dreams can be fulfilled and that we can return to the path of ­winning titles. This year, we must not fail and that is the attitude of the ­players. 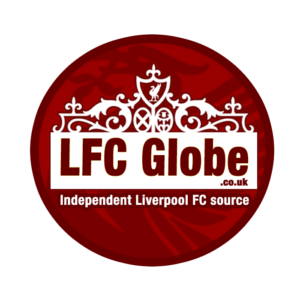 Supporters have enjoyed a sense of a closer relationship with the players this year, with players staying out to interact with fans following pre-season friendlies, notably against Napoli in Dublin and Torino at Anfield. Firmino – who was on the pitch for an hour after the Anfield friendly, signing Liverpool fans’ scarves and shirts – epitomises the type of relationship Klopp wanted the supporters to have with the squad. The former Hoffenheim attacker paid his dues to the support he receives from Liverpool fans, as he declared they are “the best supporters in the world”. “When people ask what my ­ambitions are for the rest of my career, I always say that I live in the present,” he said. Firmino – who has been linked with moves away at the start of the year – speaks extremely appreciatively of the club, as he lays out his future ambitions with the club, notably winning the Premier League title. “Everyone hears ­stories about what it means to be a Liverpool player, but, until you live it ­personally, you cannot ­really ­understand it,” he ­insisted. The Reds are second favourites to win the league, despite the impressive nature of Klopp’s squad. Current champions Manchester City remain firm favourites of the bookies, however Firmino has vowed to try his best to overcome the odds and bring the Premier League trophy to Anfield for the first time. “I think the battle for the title is going to be very tough and will go until the very last day. That’s why we’re ­determined to start at the top,” he said. “But the Premier League is one of the toughest competitions in the world and so much of the battle is in the head. So, let’s see what happens. “All I can promise our supporters is that we will give every last drop and ­finish the season absolutely empty in a bid to win the title. Liverpool supporters will love Firmino’s latest comments, with a sense that this season could be pivotal in their development under Klopp. There is an air of optimism surrounding Liverpool this season, with new signings Naby Keita, Fabinho, Alisson and Xherdan Shaqiri bringing an exciting new dimension to a Reds squad that reached last year’s Champions League final.